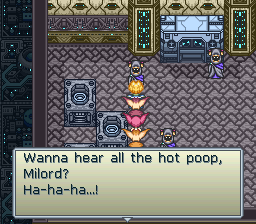 Lennus-II is written for a mature, educated audience. If this were a motion picture, I would rate it no lower than PG-13, for Sexual Situations, Mild Language, and Violence. 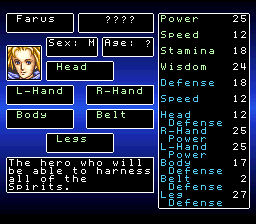 First, I wish to express that a fair number of passing years has not bestowed upon me the wisdom to understand why average RPG gamers during the 1990s were not as fascinated as I with the charm of Paladin’s Quest, a 16-bit console game that Nintendo ported to the English-speaking world (Enix of America - October 1993). 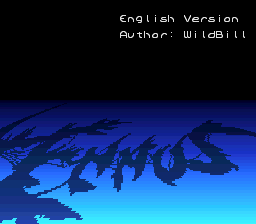 Originally known in Japan as Lennus and released on November 13, 1992 by Asmik, when I learned that the sequel to Paladin’s Quest’s, Lennus-II (also released by Asmik - July 26, 1996), would not be translated and imported to America, I recall communicating my disdain on an amateur translation message board. There, along with a handful of like-minded people, we quickly coalesced into a general consensus that we should take matters into our own hands. 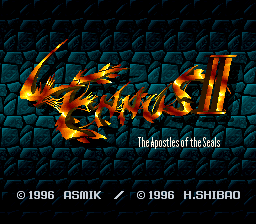 The upshot is that mainly Draken, Stovetop, and I confessed to being avid fans of PQ, and thus, the idea of creating an English patch for Lennus-II was born. The year was 1998. That’s right. Do the math. 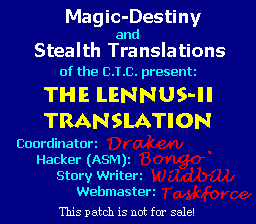 This Lennus-II translation project was born almost ten years ago! 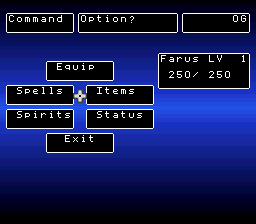 Our V1.0 English patch has been in work, off and on, all this time. Those early days were quite heady, but let me report that our excitement level is equally high in 2008, if not even stronger! One of our initial goals was to recruit additional talent to help us tackle the monumental tasks and solve many tough challenges. Mainly, we needed an assembly hacker and a whole squadron of bilingual Japanese translators. 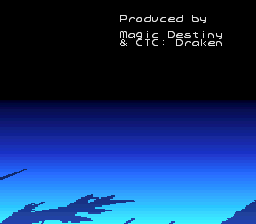 Draken, Taskforce, and even I performed early hacking and organizational chores in regard to fonts, Kanji tables, opening credits, and dialogue boxes. 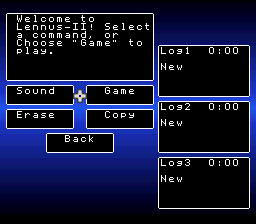 With occasional assistance from the translation community at large, everyone pitched in with spot translations of command windows, menus, and such, and before long, we achieved adequate English mechanics to proceed deeply into game play. Randy, another staunch fan of Paladin’s Quest, assumed the role of our first web host, for our Magic and Destiny Translation sites (which we later combined into the Magic-Destiny domain), as well as the Confederated Translation Company (a separate domain), a vehicle we designed to bring a host of small (and in many cases, one-man) operations under one roof to support dynamic project teams and share resources. 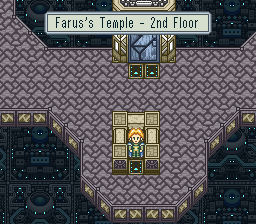 Randy, along with his friend Rune, also researched some of the similarities between Paladin’s Quest and Lennus-II, assisting us greatly in our early menu work. 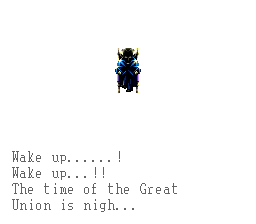 By and by, The Gun joined our early Lennus-II team, and accomplished our first comprehensive dialogue dump. Later, Bongo` brought his considerable skills in assembly hacking to the table, and in short order, he resolved a number of glitches in The Gun’s original dumper. 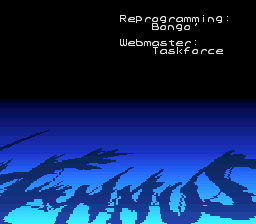 Over time, Bongo` extracted all of the menu features that required translation. 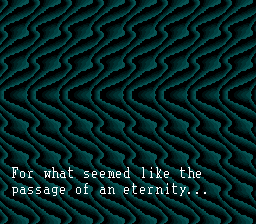 He also constructed an 8X16 font for the main dialogue boxes, and coded first generation recompression and insertion tools, enabling our earliest and most dramatic successes toward a full scale English conversion. 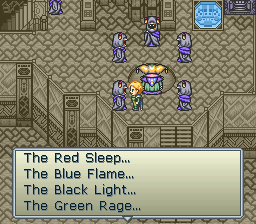 Meanwhile, as the raw translations of six huge dialogue blocks started flowing in from Daimajin, Xeur, PhatOo7, and Akujin, Wildbill began organizing hundreds (if not thousands) of strings into story line formats for insertion into our first English alpha version. The project proceeded steadily for a while, to approximately the halfway point, until personal priorities forced Bongo` to depart on an extended leave of absence. 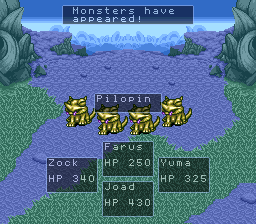 Draken , Wildbill, Taskforce, and others continued working on various menus, displays, and story line segments, until we produced a playable game that could be successfully negotiated to its conclusion. Unfortunately, our interim efforts forced us to work around or bypass a number of features that still needed assembly hacking, such as the railway system menu. Otherwise, we would crash the game. Ultimately, without Bongo`s sequential ASM refinements, we knew our efforts by themselves would result in a buggy product at best, so reluctantly, we shelved the Lennus-II project for a number of years. Prior to jumping forward in time, I want to mention one of the most noteworthy footnotes I can share with those who aspire to translate RPG video games, and that is the congeniality that has always defined the core members of our Lennus-II team. Never once have we experienced arguments, disputes, or jealousies, and what few times we expressed differences of opinion we resolved amicably. So, hold this thought forever, people. 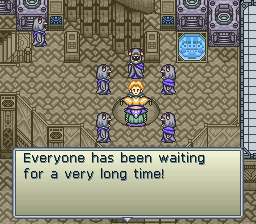 Games are designed to be fun, and Lennus-II, specifically, resides near the top of my fun list. 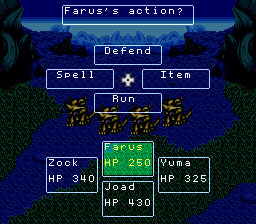 Moreover, during my experience of working with this team over the years, the camaraderie has provided about as much enjoyment as playing Lennus-II in English!